Praxsym t-meters include a 10dB fixed attenuator which supports radio outputs up to about 600mW. You need to add more attenuation when testing more powerful radios. Praxsym t-meters have a setting for 10dB, 20dB, and 30dB of attenuation. 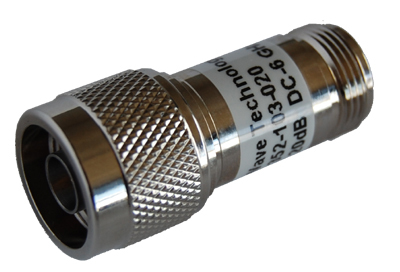 By adding a 20dB attenuator to the kit, you can use all three attenuation settings and test more powerful radio cards. Note: You connect the 10dB and 20dB attenuators together for 30dB of attenuation.